CRIVENS! COMICS & STUFF: MIGHTY MARVEL CHECKLIST - ON SALE NOW!!! 76 pages! Four awesome Marvel Universe adventures! Star-Lord and Nova discover a shocking secret in deep space! By Gerry Duggan & Marcus To! The Thing and the Human Torch team up with Hercules to battle Hydro-Man! By Chip Zdarsky & Valerio Schiti! Hawkeye uncovers the dark secret of the Take Back Control cult! By Kelly Thompson & Leonardo Romero! A 1960s Marvel classic – Doctor Strange battles the sinister Demon! By the legendary Stan Lee & Steve Ditko! 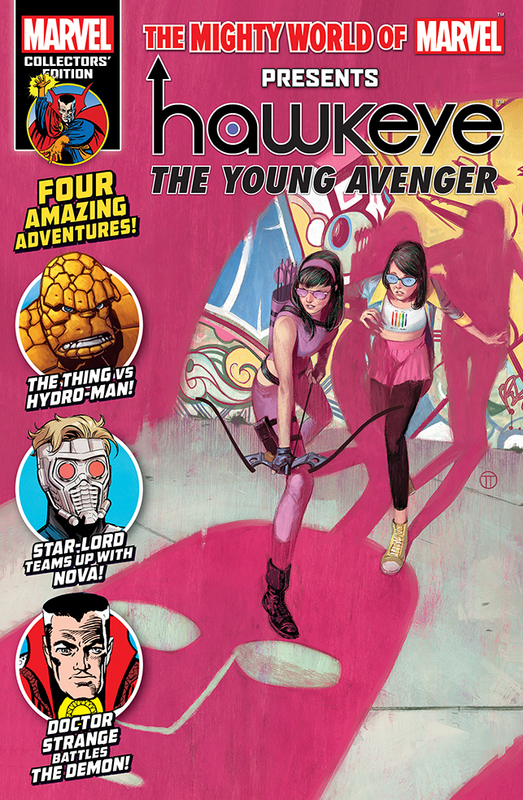 Featuring material first printed in Guardians of the Galaxy #147, Marvel Two in One #3, Hawkeye #4 and Strange Tales #128. 76 pages of Mutant Mayhem! Something is seriously wrong with the X-Men's history, and the Blue Team are in big trouble! Guest-starring Generation X! By Cullen Bunn & RB Silva! The Gold Team enter the Negative Zone to rescue Kitty and Nightcrawler! By Marc Guggenheim & Ken Lashley! 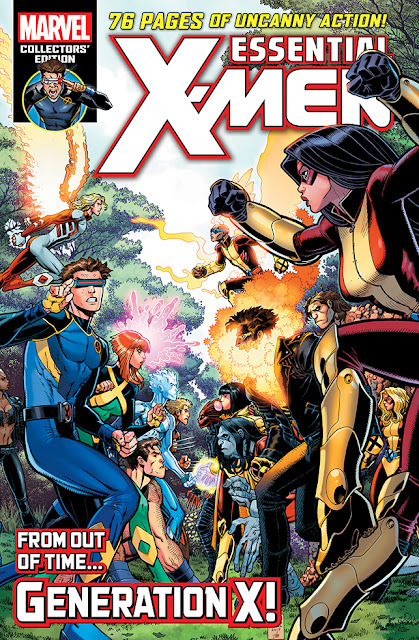 Featuring material first printed in X-Men: Gold #17 and X-Men: Blue #17-19. 76 pages of Marvel’s hottest hero! Deadpool is on the run, and Rogue has sworn to bring him in! Good luck with that, sugah! By Gerry Duggan, Matteo Lolli & Scott Koblish! The Assassins Guild attacks! Deadpool battles Razor Fist in New Orleans! By Cullen Bunn & Mark Bagley! 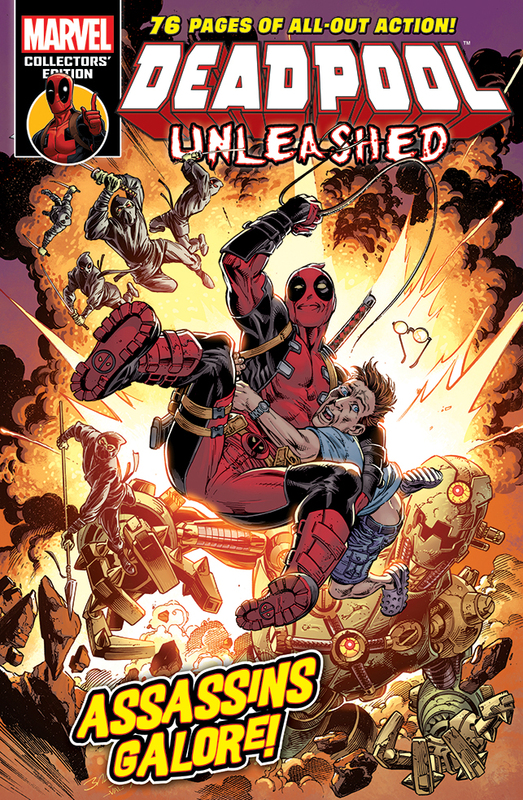 Featuring material first printed in Despicable Deadpool #293-294 and Deadpool: Assassin #1-2. I bought Deadpool Unleashed this morning. There's a tribute to Stan Lee on the back cover - a photo of Stan surrounded by classic Marvel covers. I saw that page on an issue from last month (I think) in WHS yesterday, CJ. I'm just going there now to get my MWOM. FRANKIE, FRANKIE, WHEREFORE ART THOU, FRANKIE...?